A man who was abusive to police received a suspended sentence when he appeared at Londonderry Magistrates Court. Anthony Joseph McErlane (47), of Glentaise Drive, Ballycastle, pleaded guilty to disorderly behaviour in the city on June 15, last year. 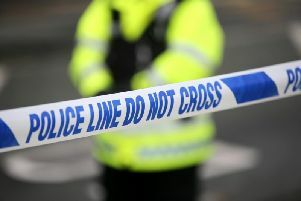 District Judge Barney McElholm was told that police spoke to a group of people drinking alcohol in the Foyle Road area. The defendant told police to “f*** off” when he was asked to move on from the area and when they asked him for his details. He received a two month sentence suspended for a year.